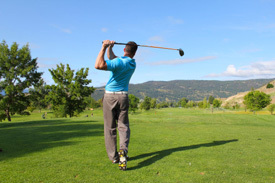 The team of health practitioners at Perth Sports Injury Clinic can assist those suffering from tennis or golfer’s elbow. This repetitive condition is the result of inflammation and small tears in the forearm muscles located around the inside and outside of the elbow. Also known as lateral epicondylitis, it’s often caused by holding a tennis racquet handle too tightly. To relieve stress on the elbow, you can switch to a looser string tension, use a larger racquet head or grip size or use a two-handed backhand. At Perth Sports Injury Clinic, we can co-manage your case with your other healthcare professionals to restore your wellbeing. Contact us today to discuss what we may be able to do or to book your visit!